Bali, Island of the Gods. The beautiful island of Bali, unique culture, arts & ceremonies, warm and friendly people make Bali as one of the world's favorite holiday destinations. Bali's international airport, Ngurah Rai, is the nation's gateway, served by numerous international airlines and charter flights. Villa Taksu is located on the beach in the Balinese village of Surabrata, Offering 24 villas, Floating swimming pool, Fine Dinning, and more... 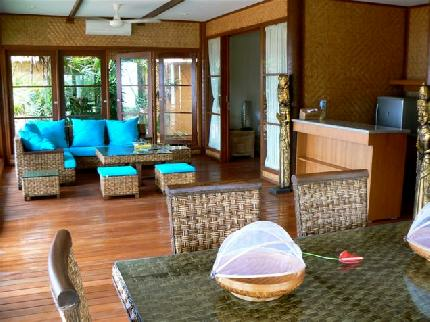 Situated on Soka Beach, Taksu Holiday Club at Taksu Resort offers a peaceful, secluded setting, reminiscent of old Bali. Surrounded by rice paddies and spectacular mountains overlooking the beach, the resort features spacious two-bedroom villas and oceanside dining. Enjoy a massage or yoga class, stroll along the unspoiled sandy shores, or take a ride to nearby Balian surf beach.